His core knowledge was long honed out through years of persistent lab operations. Since employed by King Saud University, Geology Dept. in 1988 Mushabbab was tasked with a wide spectrum of lab tasks like Thin Section Preparation, Rock Cutting, and Microphotography. 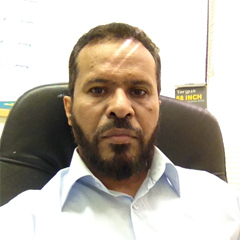 When retained in 1997 by CPT, KFUPM he furthered his lab passion by fulfilling and supervising numerous CPG research support assignments and other instrumental tasks related. BS, Business Administration, Dammam University, KSA, 2016. Tech. Diploma, Geology, King Abdul Aziz University, 1987. The Distinguished staff for technician and support at KFUPM – 2011.